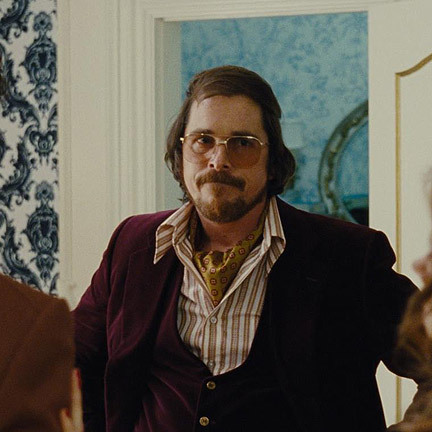 These garments were worn by the character “Irving Rosenfeld” portrayed by actor Christian Bale in the 2013 motion picture “American Hustle”. 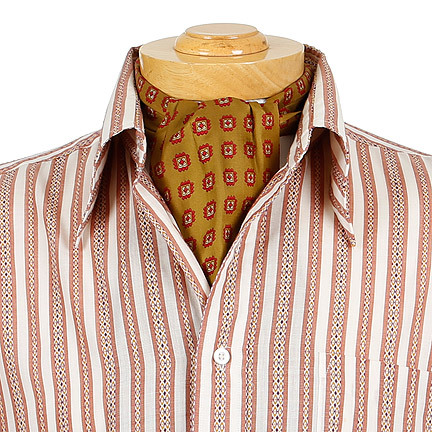 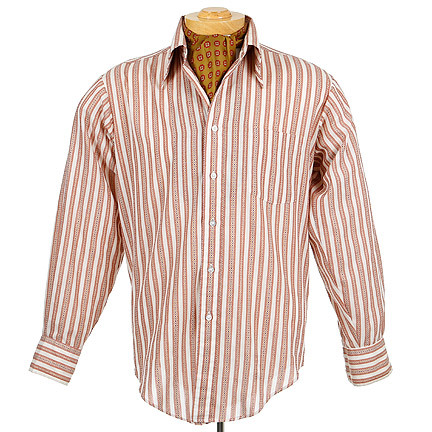 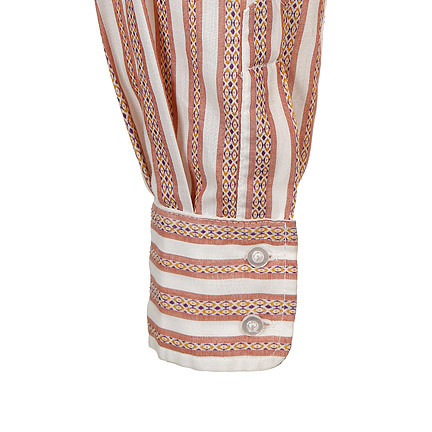 The vintage white, tan, and purple geometric striped dress shirt has a 70’s collar, patch pocket, single button cuff is paired with a mustard cravat with red geometric print. 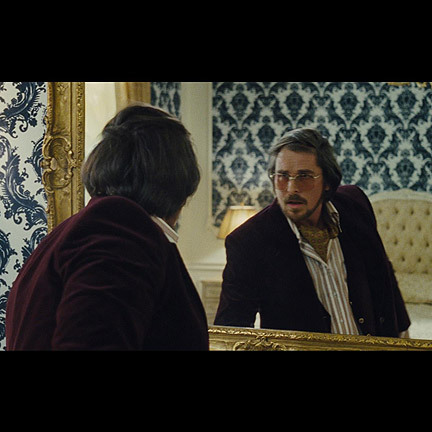 Mr. Bale wears these garments in the opening scene while perfecting his combover at the Plaza hotel, and during the initial FBI sting operation when Irving (Bale), “Richie DiMaso” (Bradley Cooper), and “Sydney Prosser” (Amy Adams) try to bribe “Mayor Carmine Polito” (Jeremy Renner). 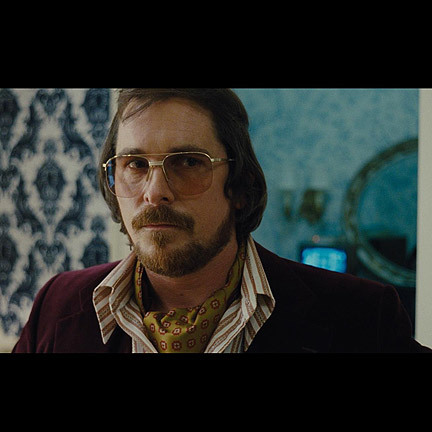 “American Hustle” was directed by David O’ Russell, written by Eric Warren Singer and starred, Christian Bale, Amy Adams, Bradley Copper, and Jennifer Lawrence. 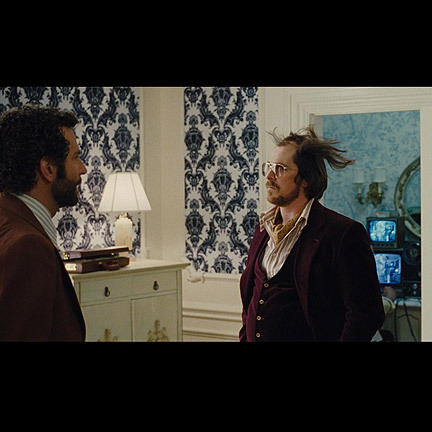 The critically acclaimed film received ten Academy Award nominations including, Best Actor, Best Director, and Best Writing (Original Screen Play). 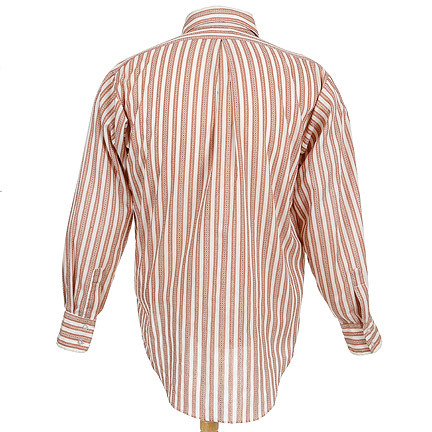 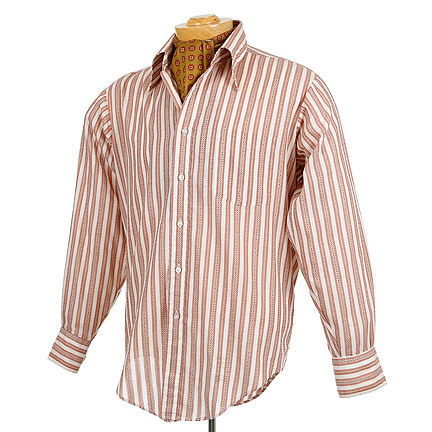 This garment is in excellent screen worn condition, accompanied by a letter of authenticity from the costume house.